Coming from China to Adelphi University last year, Ailing Zhang had two choices: earn her M.B.A. at our Garden City campus, or at Adelphi's Manhattan Center . For Zhang, the choice was easy—“I had to be in New York City." ﻿Today, sharing an apartment in Queens, meeting friends in Central Park, participating in a career seminar with Bank of America Merrill Lynch, or visiting the United Nations with her class, she feels at home in the busiest city in the world. 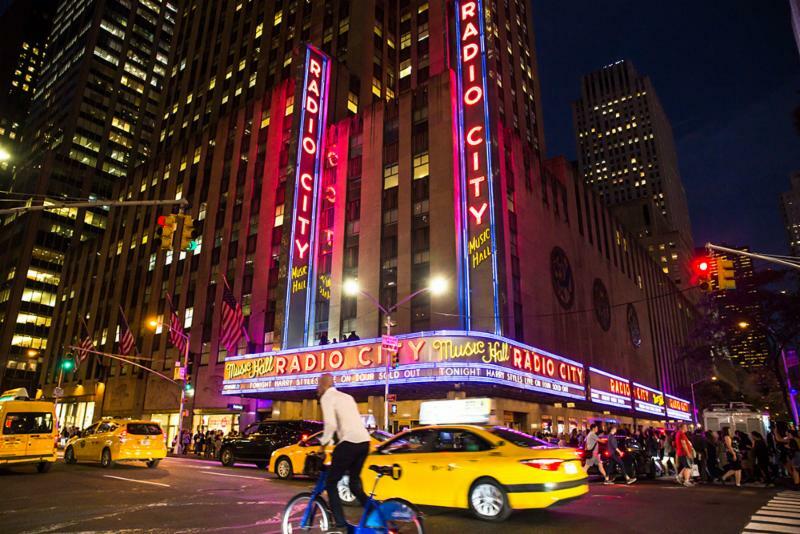 In the frigid temperatures that now envelop us here in New York, she even had an experience she called heartwarming: seeing the Rockettes at Radio City Music Hall “to experience, for my first time, the American Christmas." 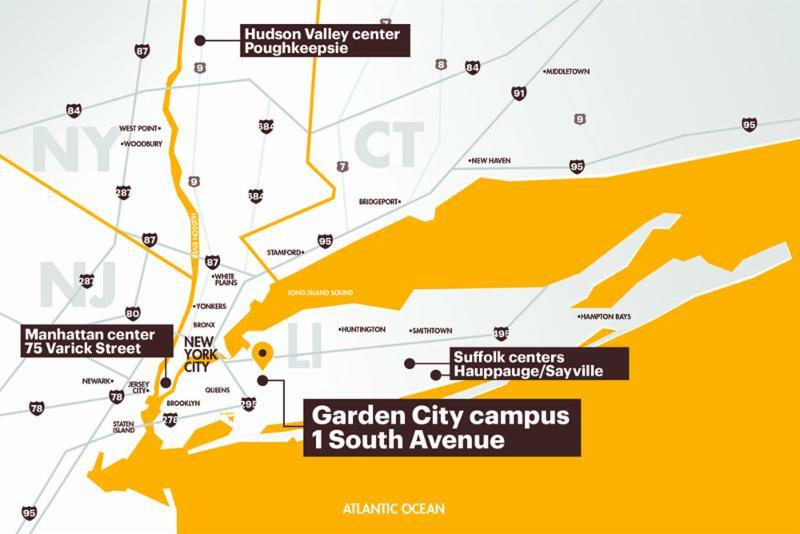 Upstate, you'll find Adelphi University's Hudson Valley Center in Middletown and Poughkeepsie. Students in the Master of Social Work program spend a required 300 hours of field work each semester in their own communities. Lately, they have been deployed to work in opioid addiction and intervention, and they have been counseling patients at St. Luke’s Cornwall Hospital in Newburgh to seek treatment and end the cycle of addiction. They are doing lifesaving work—and I could not be more proud. Here on Long Island, two more mid-island Adelphi locations, in Hauppauge and Sayville , help working professionals and young parents achieve their dreams of advancing their careers. Their lives don’t allow them the ability to commute easily to Garden City or Manhattan. So Adelphi, quite simply, comes to them. That leads me to my question of the day: Who is an Adelphi education for? I am glad to tell you it is for an ever-widening group of passionately engaged students: students in lower Manhattan, students from upstate, international students from 57 countries, students from 43 states, busy Long Island parents who want to return to school, part-time, flex-time and full-time students, our honored veteran students, and professionals of every age and background. As we begin to offer more classes online, we know our reach will be even greater. But our message is the same: a personalized approach to higher learning, for every kind of person. That's our way of changing lives. Read on, and see how. Students at Adelphi's Manhattan Center are learning in the world's most extraordinary classroom: New York City. Come on in and take a look . 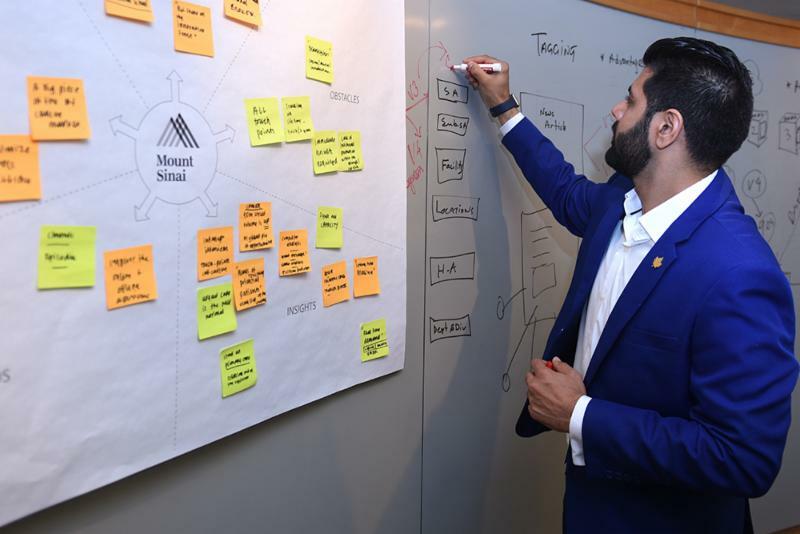 Panther entrepreneurs test the waters in Adelphi’s version of the popular TV show, presenting their ideas for new businesses in a competition by the Robert B. Willumstad School of Business. Six finalists will go head-to-head on April 24 for a share of $10,000 in seed money. Bright lights, big city adventures. What brings Adelphi students to New York City? Explore NY, Adelphi’s new program that organizes excursions every weekend during the school year. With events like a Midnight Run for charity, it’s a big part of the University’s effort to create even greater connections to Manhattan. Going global in Manhattan. Adelphi already has a great M.B.A. program on our main campus. 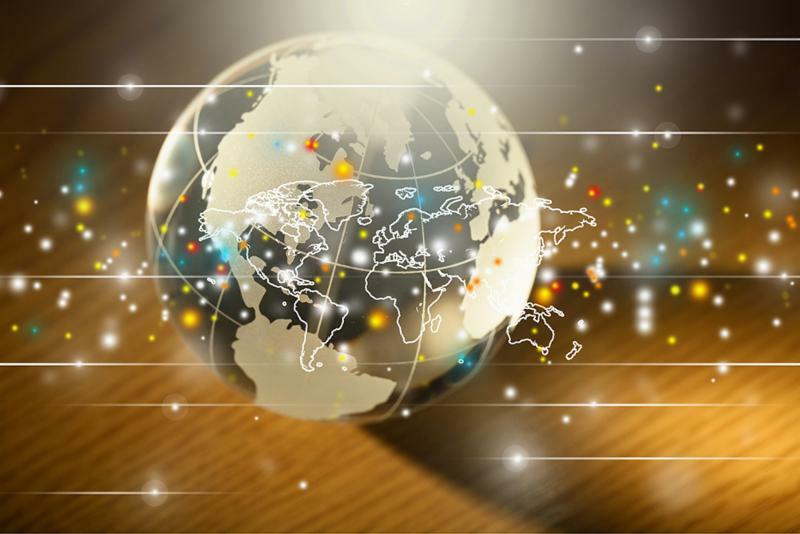 So why create a separate Global M.B.A. program based in New York City? There is a world of reasons. Hudson Valley to Hauppauge: Our New York state of mind. 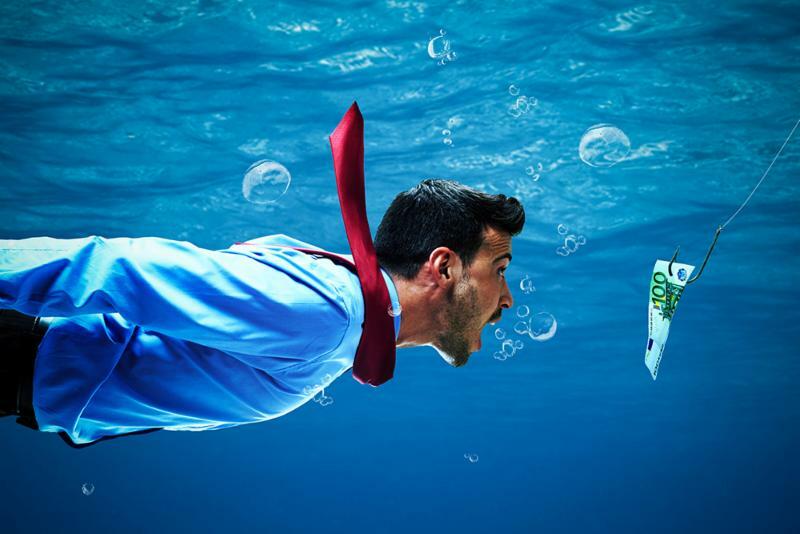 College and advanced degrees have never been more valuable, but they’re hard to get if you work full-time or are raising a family. 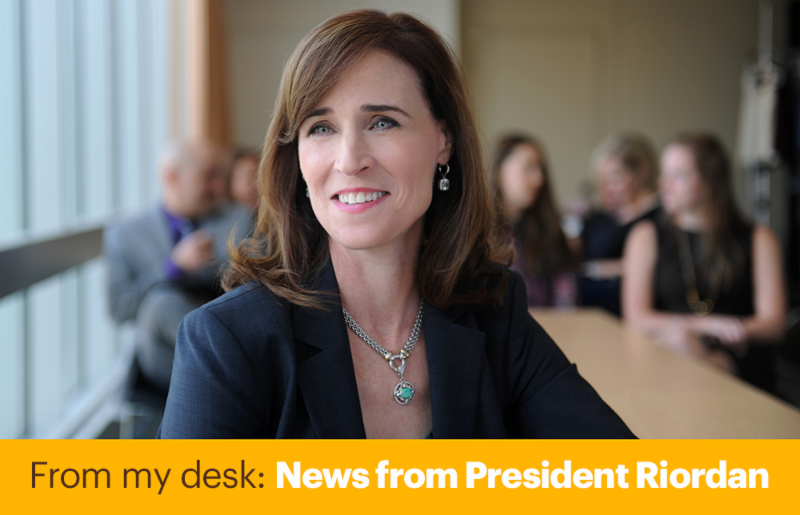 See how Adelphi is mapping out a strategy to help more students from across New York earn the degree they need. A makeover that's more than skin deep. 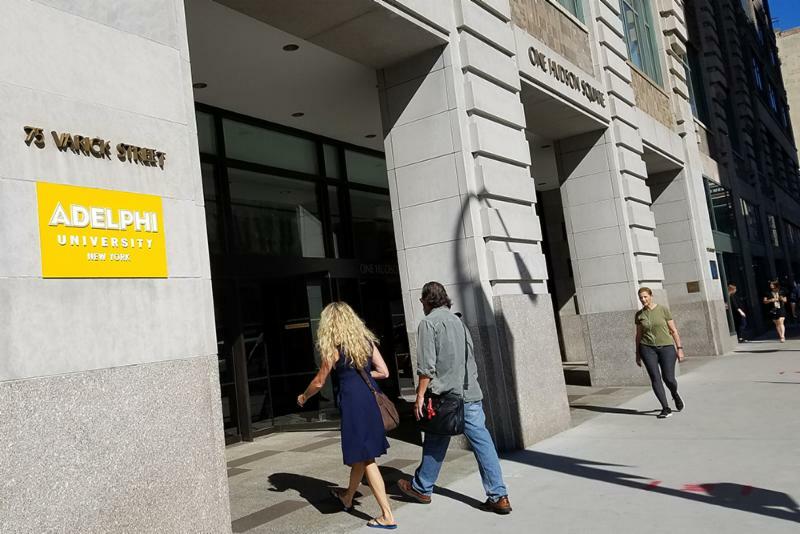 The beautiful renovations of Adelphi’s Manhattan Center are complete, but with the launch of innovative new programs and services there, the changes are more than meets the eye. How to land a NYC internship. With applications coming from around the country and the world, the competition for internships in Manhattan is tougher than ever. Adelphi is finding more and more ways to put students into career-making, life-changing internships. 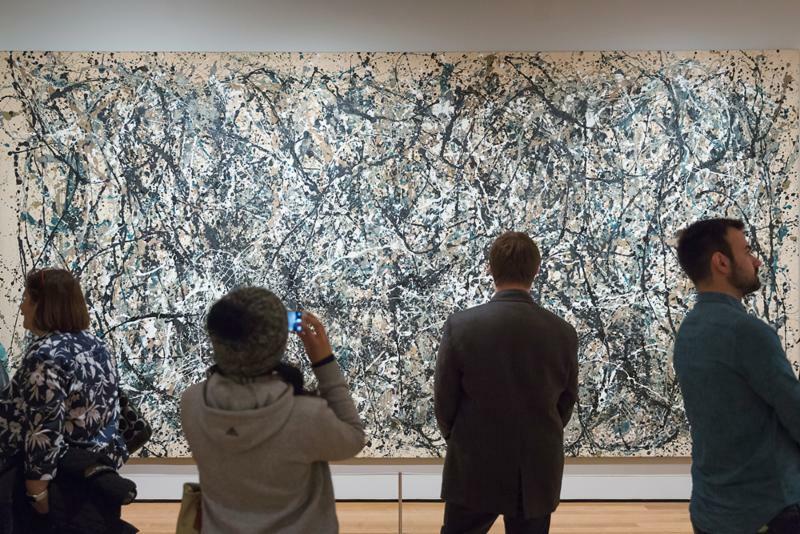 The art of learning in New York City. Tickets to Lincoln Center. Classes held in the Metropolitan Museum of Art. Master classes taught by renowned performers. Adelphi is taking advantage of the ultimate classroom—the Big Apple—to enrich students’ education. 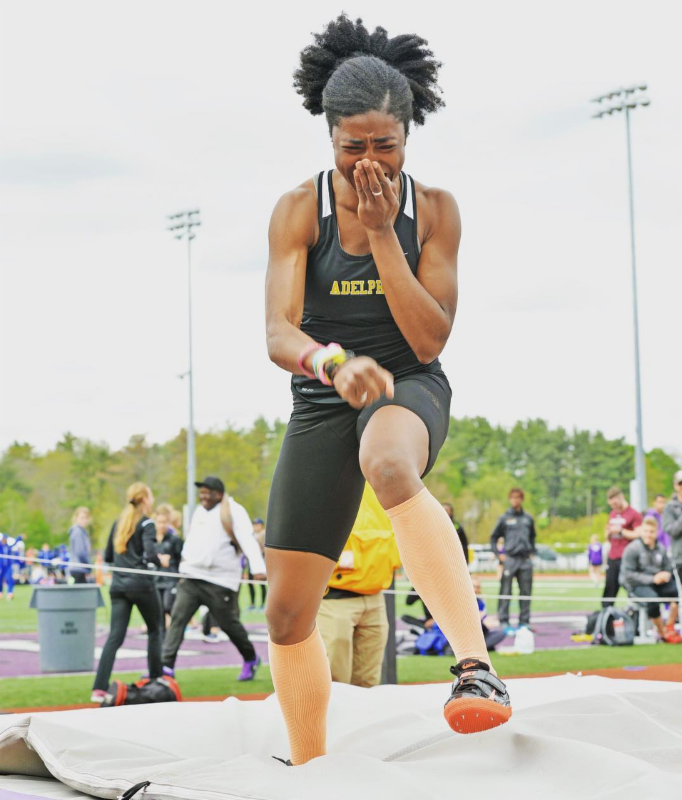 One of Athletics "best nine of Instagram" posts in 2017, this is Adelphi's track star Victoria Major landing and winning the Northeast-10 individual outdoor title in the high jump as a first-year student. Her jump at 1.74 meters (5' 8.5") set a new program record and made her one of NCAA Division II's top high jumpers. Victoria, we're so proud you're a Panther. Keep flying high in 2018! 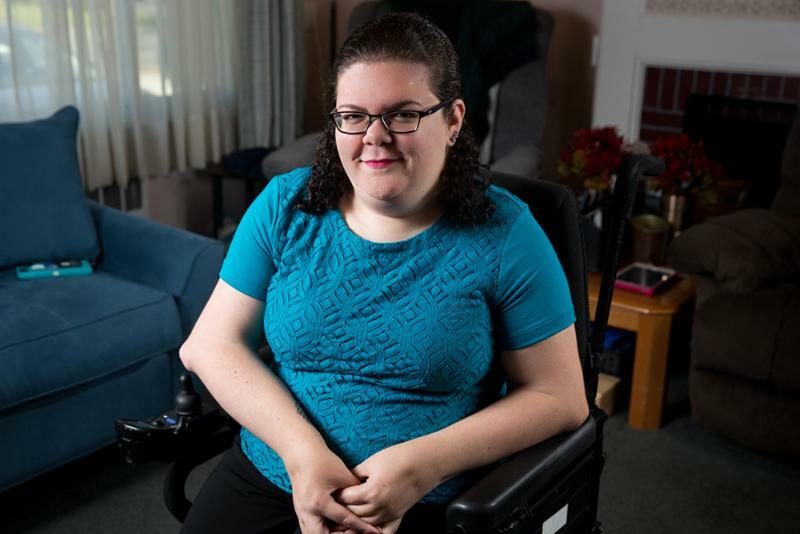 The awards keep coming for this passionate disability rights activist who’s one of Adelphi’s 10 Under 10 young alumni. Find out about her newest honor and her amazing career. See how you can be part of our story. My Momentum Tour 2017–2018: Stories of Lives Changed: Hear Ours, Tell Yours will be in Boston on January 16 before heading out to the West Coast. For all of our alumni and potential students in Los Angeles and San Francisco —come see how we're transforming lives back on the East Coast. Like reading From My Desk? Recommend it to a friend .